The Shark Navigator Lift-away Pro NV356E vacuum cleaner came in our top ten vacuum cleaners because it scored 7.9. It is one of the best vacuum cleaners after careful consideration and after taking into account expert rating, expert popularity score, consumer rating, consumer popularity score and consumer complaints. This versatile vacuum presents a detachable canister, that you can use a hand-held vacuum, which gives good suction and has a true HEPA filter. The Shark® Navigator™ Lift-Away® Pro is a powerful vacuum cleaner, which has deep carpet and bare floor cleaning, and it never loses suction during cleaning. It has a special dust-away hard floor tool for perfect hard floor cleaning and portable canister attachment, which makes cleaning easy and fast. The Shark Navigator Lift-away Pro NV356E vacuum cleaner is lightweight and is steerable which makes it easy for a person to maneuver it without any inconvenience. 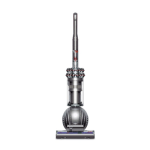 The vacuum is designed with Anti-Allergen Complete Seal Technology, which traps about 99.99% of allergens and dust inside the vacuum cleaner, which makes the air in the room dust free and clean. The vacuum cleaner has a large capacity of sucking dirt. Plus it has brushroll on/off the ability for powerful carpet cleaning. It contains an accessory named “the premium pet power brush” for pet owners to clean pet hair and other messes that are at home. The vacuum cleaner also has an extra-long crevice tool for a person to reach those areas that are hard to reach. Lastly, a great feature about the Shark® Navigator™ Lift-Away® Pro vacuum cleaner is that it has an HEPA filter that has a lifetime guarantee. Experts love this vacuum cleaner. 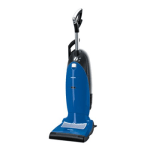 Shark Navigator Lift-away Pro NV356E is recommended by experts as a great durable and work efficient vacuum. It scored 5 in our review bee. For many experts, the Shark Navigator Lift-away Pro NV356E has quality suction, which makes cleaning floors easy and swift. Experts say that this vacuum cleaner shows exceptionally good suction when the wand tool is used. The vacuum is designed in a way that it does not sacrifice the quality for the sake of affordability. Customers receive a highly rated vacuum cleaner with a variety of accessories. One great feature is the anti-Allergen Complete Seal Technology, which cleans the dust and antigens in the air providing a dust free environment for people who have dust irritation and dust allergies. According to experts, its advanced interior never loses suction, even in the presence of tough messes like pet fur or soil. Experts rate the Shark Navigator NV356E vacuum cleaner really well for various reasons. Reviews Bee has managed to take expert ratings from various sites in order to give you a complete rating accessible on vacuum cleaners. In the expert rating component of the Reviews Bee Score, Shark Navigator Lift-away Pro NV356E vacuum cleaner was rated 5.2 which was average in the other top ten vacuum cleaners. 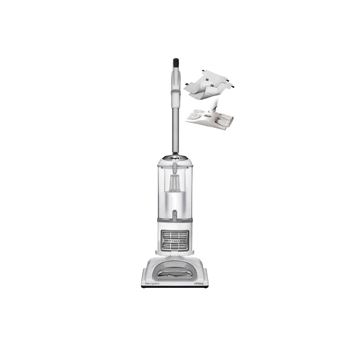 The Shark Navigator Lift-away Pro NV356E is a favorite between the experts, because this is an upright bagless vacuum in which you can detach the canister and use it as a small canister. The Shark Navigator Lift-away Pro NV356E vacuum cleaner has a hose and tools to make vacuuming easier to clean stairs or places that cannot be reached. Every site has star ratings with product reviews, to give consumers a better idea of the product whether it is bad or good. If it is bad then it gets fewer stars and if it has good reviews it has more stars. Reviews Bee has compiled and averaged the star ratings to calculate consumer ratings of the overall Reviews Bee score. After reviewing many reviews from authentic and trusted sites, Reviews Bee placed Shark Navigator Lift-away vacuum cleaner at the top of the top ten because it received 8.9 scores. 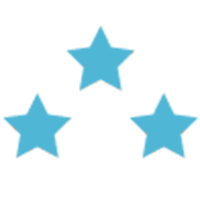 In the shark, navigator lifts away reviews consumers have many opinions mentioned and they have a wide range of opinions then the expert reviews. This is due to the fact that consumer reviews are individual’s limited thoughts with a single vacuum cleaner. On the other hand, experts take careful consideration on what to write while comparing and researching on the product. However, individuals take one event into consideration and write about it. The consumer popularity score by Reviews Bee is 5. However, Reviews Bee looks outside the consumer star ratings on reviews by consumers and studies deeper to make consumer popularity score. In order to calculate the consumer popularity score, our team reads every consumer review found plus considers the fashions and experiences shared which are written in customer comments. Consumers note satisfaction due to the vacuum cleaner is lightweight and weighs 14 pounds. 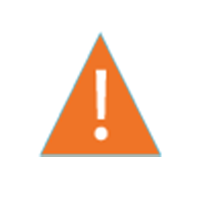 Consumers find the shark navigator lift away not noisy at all, because it is designed with a decibel level of 76 dB. Consumers also like the vacuum cleaner because it has a longer-than-average electrical cord that extends 30 feet, which means less plugging and unplugging. In the shark vacuum reviews, we found out that consumers found faults in the Shark Navigator Lift-away Pro NV356E vacuum cleaner. Consumers complained that you have to bend down to reach the “On” button, which is really irritating and inconvenient. In addition to this, the vacuum cleaner is a problem, because the pet hair gets stuck in the brush roller. For some consumers, it is a little heavy to maneuver. Another complaint is that it comes with a short extension hose, which makes it hard to reach corners that cannot be reached and also under furniture. According to the shark navigator reviews, consumers wished the hose a bit longer. Moreover, some complaints were about the storage of the vacuum and wrote that the Shark Navigator Lift-away Pro NV356E vacuum cleaner does not have enough storage for the attachments to be stored in. 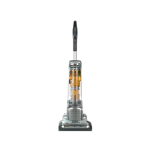 The Shark Navigator Lift-away Pro NV356E vacuums cleaner gives powerful suction, it has an HEPA filter and feature of the facility to remove the canister to use as a small, portable vacuum is great. 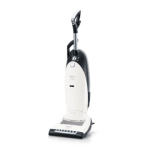 The vacuum cleaner is a great choice for someone on a budget and who wants a quality product.